When I first met Adam Bates, it would be safe to say that I was in the lowest place of my life ever, not just physically but emotionally and mentally, Let me take you back to May 21st 2017, I had it all the Penthouse in London, a fleet of cars most people could only dream of and a life that seemed like a dream to most others around me. It was safe to say my life was sorted, what I didn’t know is that the following day I would lose it all and my life would take a drastic turn, I was to appear in court for an incident my solicitors told me at worst I might end up with some community service. Needless to say they were very wrong, that day changed my life forever, I was sentenced to two and a half years in prison, of which I ended up spending eight and a half months in a category B prison. Very quickly I started losing everything I had, my cars were repossessed, I lost my home, my business partner fell out with which in turn meant that I lost my business, something that I had built from the ground up to become a global success. My possessions were auctioned off, and then my relationship broke down. During my time away it was like everything around me had fallen apart and I had no idea how I was going to put it back together again. Fast forward to February 8th 2018 I was released with nothing, no home, no car, no money and a girlfriend who almost relished the fact that I had lost everything reminding me daily I was a failure and out of shape even to the point telling me she was going to date other guys because she deserved better than me. I was in the worst place ever not knowing how or where to even start to put my life back together, for a few months I sat around wallowing in self-pity out of shape and getting fatter because I just didn’t care. At one stage I even thought if I vanish no one will notice I’m gone, I battled with that for sometime and closed myself off from all my friends and family. 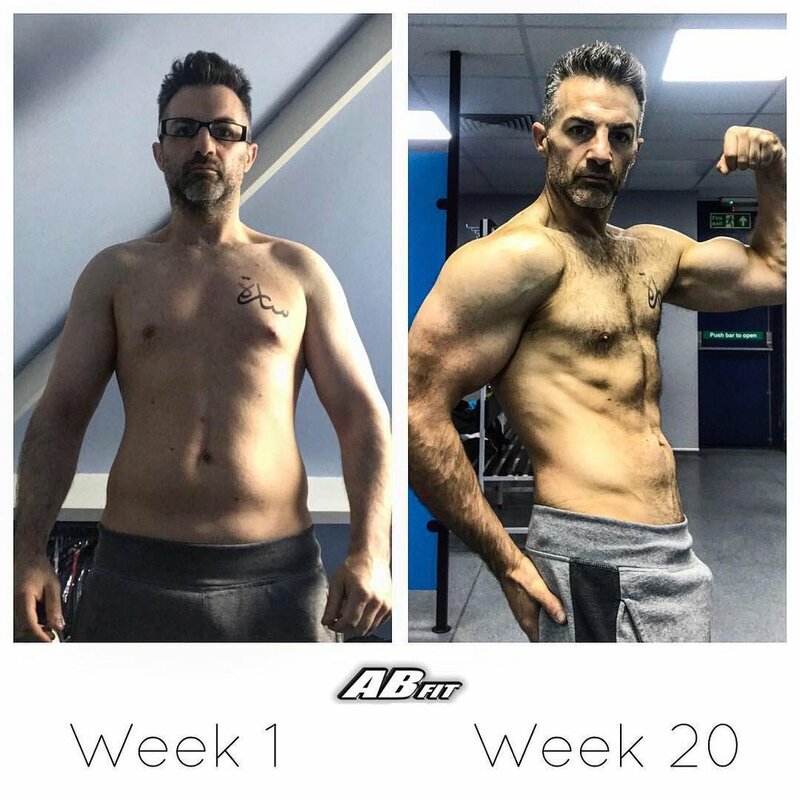 A few months passed and I joined a gym thinking this will at least help me get out the house as I was too ashamed to even look for a job thinking I would be ridiculed for who I was and my past, I then found myself up late one evening scrolling through Instagram and stumbled across some of Adam’s testimonials, as I looked at them I thought to myself, this is the answer, if I can get into shape my life will be better at least I will feel good about my body I can control that part. So I sent Adam an e-mail asking him to contact me, he then e-mailed back and arranged a Skype call, he went through what his programmes were all about and his costs, £400.00? I can still remember thinking to myself why have I called this guy I don’t have any money, but after speaking with Adam I found a way to borrow the money to get started because I could see the value in what I would learn from Adam. Instantly I had a training plan and diet plan and someone that I was accountable to almost like an accountability partner, ensuring that I reached my goals, bearing in mind at this stage I didn’t know what my goals where I just know I didn’t want to let myself down and waste £400 and have Adam think I was a waster, so I set about getting all the things I needed, scales, tupperware, supplements, food and more. Everything that was on Adams itinerary I got as I knew as long as I had planned well I stood a better chance of success. 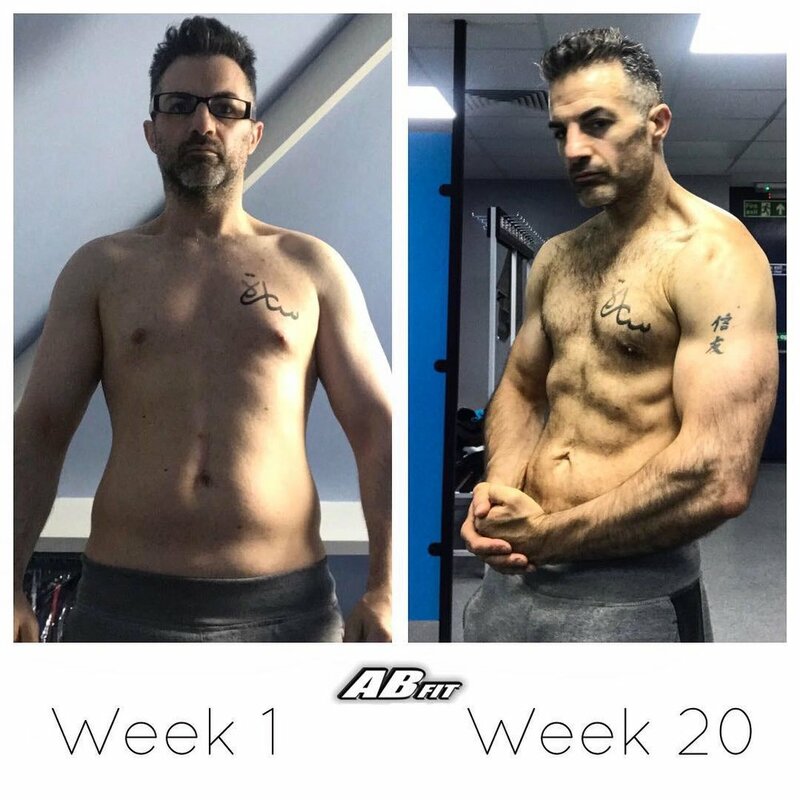 I read through my diet a hundred times to make sure I knew what I was doing, every day I wrote my workout into my log book and trained at the gym soaking up every piece of knowledge Adam had to offer, there were days I found it tough but I kept telling myself, pick yourself up and keep going, if you fail today to make sure you fail forwards as its still progress one step closer to my goal that I still didn’t know what it was, I just knew I wanted to be in great shape so that was now my goal. At this point I was just about still with my now ex-girlfriend, on a daily basis she would ridicule me for my diet. She would say I’m stupid getting up and going to the gym and eating these set meals - “look at yourself you look terrible, you’re a failure just get a job and be like everyone else.” The strange thing is I would take it from her, being beaten down more and more, as my confidence was shot to bits and I was scared to be on my own, I can even remember a time when she said I’m going to tell Adam you’ve been to prison as then he won’t want to work with you anymore, I remember it like it was yesterday. This shifted my thinking and I remember arranging a Skype call with Adam so I could tell him I had been to prison as I didn’t feel I could send him an e-mail breaking this news, I was scared of what he might say and worried he might not want to work with me anymore but it was the complete opposite to that, Adam said Pete embrace it everyone makes mistakes and everyone deserves a second chance he then went on to say that if I had never been sent away I would have never ended up working with him so that is really what brought us together, Adam doesn’t know this but that conversation changed my life, as I then shifted my thinking from being a failure to thinking everyone fails at something and as long as we learn from it and extract the lessons its ok to fail, as Les Brown would say, if you fall make sure you fall on your back because if you can look up you can get up. From deep down inside of myself I started to believe I was worthy of being someone on this earth, slowly something inside me started to change. But not overnight and wasn’t quite ready to see how the relationship was holding me back, I thought it was me, I was a failure, I was lucky to have her, I believed the words I was hearing on a daily basis. Every-time I checked in with Adam he would ask me how things were with my now ex and I would tell him about it and Adam would open up to me about his previous relationship as well so I could relate but also, each time he would remind me that I am worthy and I should do what is right for me even if it means being on my own. But like most guys I would be like yeah but I can’t I just can’t break up with her, I can remember telling Adam some of the things she would say and do to me and Adam would be shocked but he never once judged me, in fact, he always gave me a lift, gave me the confidence to believe in myself. Then one day Adam put up a post saying he was going to an event called the Power to Active with Andy Harrington, now let me tell you, had someone else told me about this event I would have thought what a load of old rubbish and for sure not attended that was my thinking as I had a belief that I was stuck in my ways, but something inside of me said go, meet up with Adam and see what this Power to Achieve is all about, well lets just say Adam single-handedly without even realising it changed my entire life for the better as the events that followed in such a short space of time are almost unbelievable in-fact so unbelievable if someone would have looked into my future and explained it word for word I would have told them they were on drugs. During the three days at the event Adam and I were sat having lunch, I can remember it well, as I was eating a prawn salad, while Adam was tucking into a linguine spaghetti, Adam told me that he was trying to build a membership site and had spent three weeks trying to adjust a text box, inside of myself I’m thinking really come on mate its a text box then the penny dropped (I’m not sure if Adam noticed a look on my face) but I just said to Adam, leave it with me ill build it for you, he’s looking at me thinking what you will build it, to which I could read this in this face and replied with yes this is what I used to do for a living I build website’s and software, fast forward 4 weeks I then present Adam with a fully working membership site that he can’t quite believe, but in doing this I realised that I have a skill that others don’t, which really got my mind going. I then decided that I was worthy of doing something more than wallowing in self pity and being told by others I was not worthy of a better life, I kept doing my checkins with Adam and he just kept saying how well I was doing and how blown away he was with his new members area I had build (at this stage it hadn’t even been launched) but this boost from Adam made my confidence go sky high as I then started to believe in myself and who I was so late September 2018 I said to myself Peter you better set yourself some goals, so my first one was to re-build my own software company, I went on search for a new developer and found one, we structured a deal that would work for both of use and he got to work re-building what I had lost, I then wanted to structure two other arms to my newly found company that would help people with their own business, so I formed a devision of the company that would design and build websites for small to medium sized businesses, following on from that I then formed an arm of the company that builds and manages online shops and memberships platforms for small and medium sized businesses. Had Adam not got me to believe in myself none of this would ever have happened, but i was still struggling with that relationship. A few months after the Power to Achieve event I was on a check in with Adam and I remember saying to him that's it I’ve done it she’s out of my life, then a week later I’m saying no she’s back we’re going to sort it out, then a week later oh Adam it’s all over again. This pattern continued and in the tough times I always had Adam’s support and ability to give clarity to help me gradually start to see things as I do now. I remember it starting to sink in as Adam would point out how and where this was holding me back from flourishing in my own life and how much I do have to offer. Soon the point came when I finally realised my life would be better without her and somewhere, somehow I found the strength to let her go and not contact her again. Now lets fast forward just 5 months to February 2019 from when Adam and I were at the Power to Achieve event, I now have a successful software business that produces scheduling software for small and medium-sized business called beopulence.com, a digital marketing company that designs and builds beautiful website for businesses including this very site you are looking at right now, we build and manage online shops and membership programmes for our customers, we also manage SEO for small and medium business and somewhere amongst all of that I created a procurement company that sources goods for smaller companies to enable their growth. I have gone from feeling my life was not worthy to feeling I have purpose and benefit other peoples lives as our sole purpose around our business is adding value to peoples businesses and not just focusing on how much money we make. But that's not where it ends I am now in the best shape of my life, like ever, I think even Adam secretly wants my abs ha ha, my confidence is not just back but sky high now, on my 12 month anniversary of being out, I am speaking on stage delivering a keynote speech on the importance of website building for your business, I have a professional photoshoot booked which I am currently training for now. As if life wasn’t perfect already, I am in a new relationship with a girl who is the perfect lady and enhances my life even more, she has shown me that women can be kind, caring and makes me feel on top of the world, and in Adam I have a new best friend and business partner who never judges me for my past, my life could not be any better right now. If anyone would have told me my life would have changed the way it did just from one Skype call with Adam Bates, I would have told them they were on drugs, but from losing everything and being in the worst shape of my life and not knowing what to do to becoming successful in business and life being in the best physical shape ever Adam has been worth every single penny of investment and then some, if you are thinking about online coaching, don’t think just do it, and do it and keep doing it you won't regret it. And if all of that wasn’t enough my journey will continue as I am signed to work with Adam for a further year so 2019 is going to be one heck of a year!! !